Think about everything you want from a college experience: wrestling with big ideas, expanding your world, and discovering your passions; living in an iconic American city buzzing with opportunity and adventure; joining a tightknit community that feels like home and becomes like family. Pittsburgh, Pennsylvania, offers proximity to internship opportunities at Fortune 500 companies and world-class organizations, heart-pumping professional sports, and tons of arts and culture opportunities. 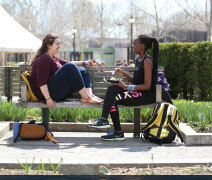 You’ll have 89 unique neighborhoods around the city to explore, many of which you can access on public transportation for free with your Pitt ID. (We’re located in Oakland, one of the best.) You’ll find amazing food, 450+ acres of greenspace, shopping, and world-class museums—all within walking distance of campus! Type of SCHOOL: Pitt is a top-ranked public research institution. Size of Campus: Pitt’s campus is large and located in Pittsburgh, a city known for its livability. students at the Pittsburgh campus; total enrollment is 28,642. Number of Faculty: Pitt employs 5,074 faculty at the Pittsburgh campus. Our student-faculty ratio is 14:1. Geographic Diversity: Pitt students come from all over: all 50 states, three US territories, the District of Columbia, and 102 countries. International Student Services: Pitt’s Office of International Student Services will assist international students withnecessary immigration documentation. They also offer events to help students adjust to life in the United States, connect with the campus community, and explore the city of Pittsburgh. Financial Aid: The University of Pittsburgh admits students with academic and personal promise without regard for ability to pay. We are committed to working with families to help make a Pitt education a reality for them. We offer international scholarships for freshman applicants. Test Score Requirements: We accept both SAT and ACT scores. We will superscore your SAT Critical Reading or Evidence-Based Reading and Writing subscore and your Math subscore. We will use the highest of the SAT superscore or the ACT composite score in reviewing your application for admission. You are not required to submit SAT Essay or ACT Writing scores. Application Deadlines and Fees: We accept applications on a rolling basis. Students who would like to be considered for University scholarships should apply early. Visit oafa.pitt.edu/scholarships for specific deadlines. Pitt’s application fee is $55. The fee is automatically waived for veterans and active-duty military service members. You’ll find all this and more at the University of Pittsburgh. It all comes together here. At Pitt, you’ll have access to 100+ majors, minors, and certificates; guaranteed internships at world-class corporations and organizations; undergraduate research projects alongside faculty who are changing theworld; and a community of fellow students who are just as curious and ambitious as you are. You’ll be amazed by how a top 100 research university can put so much within reach—inways that feel truly individualized.Build the knowledge, experience, and expertise you need to succeed in the future you want. Reputation: Pitt is consistently ranked among the top 100 research universities in the world. 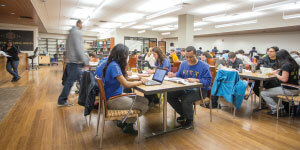 U.S. News & World Report places Pitt among the top 25 US public universities. The Wall Street Journal and Times Higher Education have ranked Pitt the #1 public university in the Northeast for two years in a row. Undergraduate Research: Pitt students have access to top researchers in their fields and get to work with scholars who are truly on the cutting edge of their disciplines. Great Minds Up Close: Pitt has a 14:1 student-faculty ratio and a commitment to research and teaching. Our outstanding faculty thrive on sharing their expertise in the classroom. At Pitt, you’re never far from big thinking. The City Is Your Campus: Called one of America’s “Most Livable Cities,” Pittsburgh is a city you’ll be happy to call home. There’s something for everyone here: miles of green space, top-notch arts and entertainment, restaurants to rave about, and amazing internship opportunities. Internships—Guaranteed: At Pitt, we don’t just offer internships—we guarantee them for every student. Get connected to Fortune 500 companies, government agencies, and top nonprofits. Panther Community: At graduation, you’ll join a worldwide network of 323,800+ powerful Pitt alumni. A Pitt degree will take you places, from landing that first job (94% of alumni are employed full time or enrolled in graduate school within six months of graduation) to taking the lead in business, medicine, government, and research around the world. Across Pennsylvania: The University of Pittsburgh has five campuses. The Pittsburgh campus is the largest, with 19,000+ undergraduates. With additional majors offered at the Bradford, Greensburg, Johnstown, and Titusville campuses, you’ll find what you’re looking for at Pitt. Hail to Pitt: Much more than a rallying cheer for Pitt’s 17 Division I sports teams, Hail to Pitt is an expression of pride and affection for a place where you can have it all: the excitement of urban living with 450+ acres of greenspace, career-boosting internships, quiet nights studying in the Hogwarts-like Cathedral of Learning, academic rigor, and unforgettable memories with an unapologetically fun student body.